British Prime Minister Theresa May leaving 10 Downing Street, London, July 20, 2016 (AP photo by Frank Augstein). It may be the shortest “golden era” on record. Barely nine months after Chinese President Xi Jinping’s extended visit to the United Kingdom seemed to cement a “very special relationship” between London and Beijing, China’s ambassador to the U.K. is warning that relations are now at a “crucial historical juncture.” The issue nominally at hand is the British government’s decision over whether to proceed with the Hinkley Point nuclear power plant, in which China General Nuclear Power Company (CGN) has a stake. 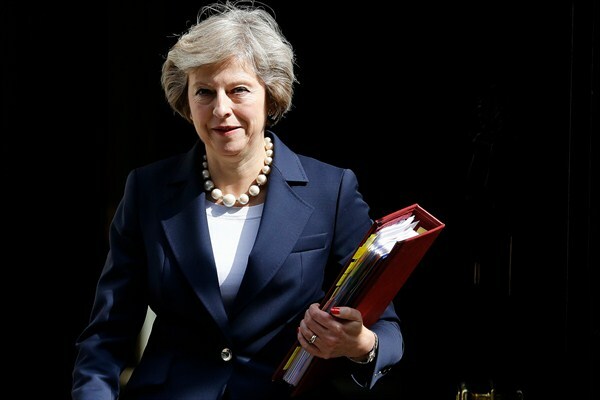 But the real question is whether the new British prime minister, Theresa May, intends to walk away from the fulsome embrace of China pursued by her predecessor, David Cameron, and his chancellor, George Osborne.